Many drivers switch to the “range” indicator once the fuel needle has come to a rest on E—you know, just to see how far they can really make it before having to tank up. Well, it turns out that, like the gauge, the range figure can also be very conservative, as two comedians learned by driving an Audi SQ5 until it sputtered to a halt on the freeway. 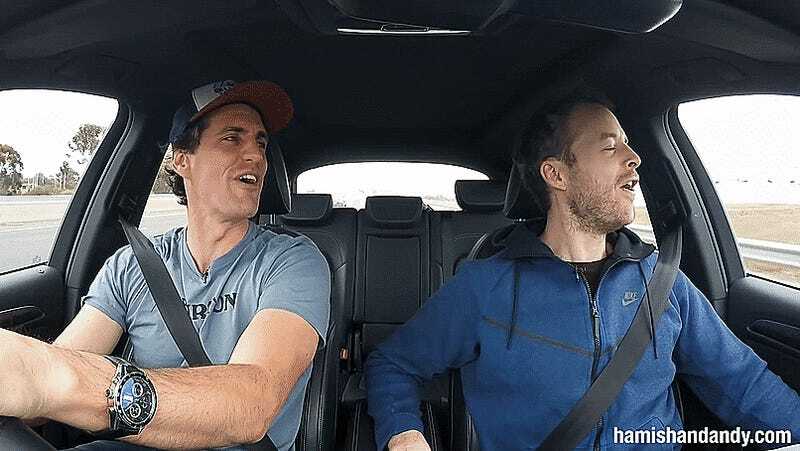 Australian comedians Andy Lee and Hamish Blake—the hosts of radio show Hamish & Andy—decided to take Andy’s 2014-ish Audi SQ5 out on the highway to test how far the SUV could go on empty. And not just “needle resting on E” empty or even “fuel light on” empty, but the emptiest a car can possibly indicate: “zero miles of range” empty. The experiment isn’t exactly useful to a whole lot of people, as its results only apply to that vehicle in those conditions doing that particular drive cycle. But still, many of us like to drive our cars as far as possible without pulling over to fuel up, and it’s usually that “range: 0 mi” indicator on the gauge cluster that guilts us into finally taking the exit. Now we know that at least one car is capable of covering nearly 70 miles after the range goes to zero, so maybe—just maybe—you don’t have to freak out when you spot the goose egg on your dash. I myself sometimes drive my car until I notice the fuel pump whine or the engine sputter as the gas sloshes during acceleration or in turns. I don’t recommend this practice. But if you want to go a few miles over what your car’s computer tells you, it looks like you’ll probably be fine. Especially if you’re in an Audi SQ5.